It's been a while since Android and IOS has became the most popular mobile gaming platforms. However, thera are plenty of java games and applications left from those times, when pones still had buttons. You can even run them on android phone using one of android java emulators. It is possible to emulate that wide range of good old Nokia, Sony Ericsson, Samsung, LG, Motorola and many other manufacturer's mobile java (j2me) games and applications on your Windows computer. Save your time by testing your .jar files on your computer, before transfer them to your phone. This software is simple to use, yet widely adjustable. 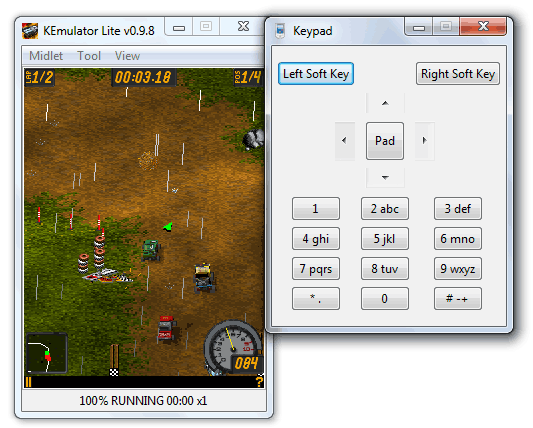 There is no need for installation as the emulator is portable and can even be run from removable usb drive. Just download the package, extract it somewhere in your computer (or flash drive) and doubleclick KEmulator.exe to start it. (You must be logged in as Administrator.) Click Run, if asked by UAC. It is necessary that you install Java Runtime Environment (JRE) on your computer in order to run java content. It is completely free and is easy to download and install from official java website. After the download you'll need to extract the contents of the .rar package using Winrar or 7zip. After extraction, there will be a folder containing all files. Doubleclick KEmulator.exe and youre done. Best emulator for pc !!!!!!!!!! !